The 2018 4 Nations Fundraiser was held last Friday 15th June at the Boat House at Lane Cove. Under the guidance of club mothers Suzana Vuletich, Susie Balcomb and Hanja Bicknell the upstairs was converted into a welcoming space with lots of fairy lights, an oar entrance, gas heaters and a fire pit. The space set up was led by club Vice President Will Raven and club men's captain Marcus Britt.assisted by the representative athletes. Over 130 members, parents and friends attended including our rowers on U23, U21 and Junior teams along with our seniors travelling to Henley and Hollandbeker regatta.. 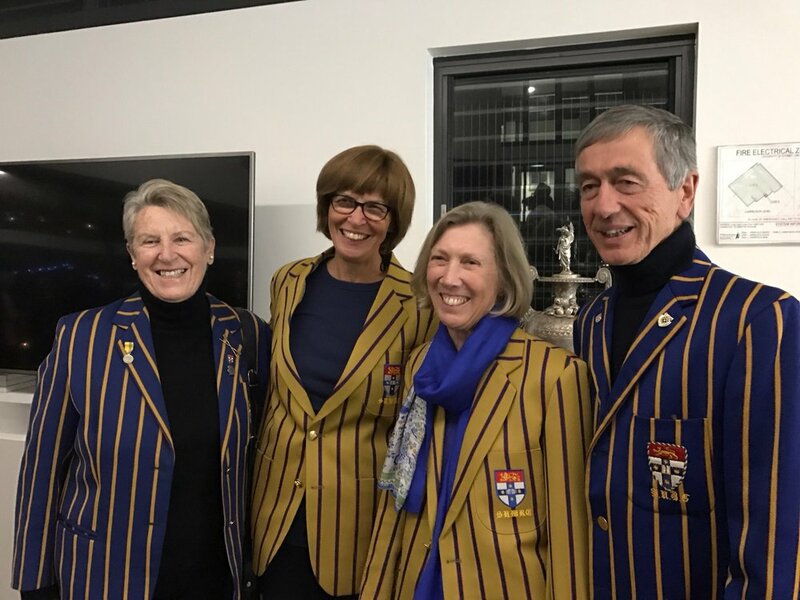 Generous donations by alumni members had already contributed substantially to our fundraising target and donation of silent Auction prizes and some substantial auction prizes by members and parents added a substantial amount along with ticket sales. In the end the Boat Club has been able to contribute over $40,000 towards the seat fees and touring expenses of our representative athletes. The night was also and occasion to honour our newly inducted Life Members for 2018. Kerrie Bigsworth, Phil Titterton, Anne Titterton and Jo Pollet were on hand to get their Life Memberships from club VP Will Raven.. Mike Wiseman was the last 2018 Life Member - his presentation will be at a later date. Thanks to all who supported this event so strongly.